Are there Differences between the States? What is the law in South Carolina? Attorneys Bill Powers and Chris Beddow, attorneys at Powers Law Firm PA discuss law, policy, and differences and similarities between North Carolina and South Carolina. **Attorney Chris Beddow is the only attorney associated with Powers Law Firm PA licensed and authorized to practice law in South Carolina. Any legal commentary and content regarding South Carolina laws is that of Mr. Beddow. What is Drunk Driving, Impaired Driving, DUI and DWI? 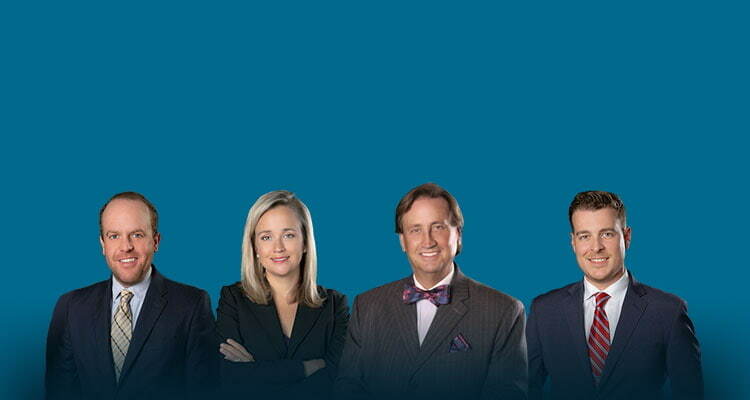 Our defense lawyers travel throughout North Carolina. Bill Powers: Chris Beddow is licensed in South Carolina. While I’ve got quite a lot of experience in North Carolina handling cases, I am not licensed in South Carolina. In addition to having a lot of trial experience in North Carolina, Chris also really knows South Carolina. Chris, in talking about “driving while impaired” because that’s what we’re focusing on this segment of North Carolina Law Talk, is there a difference between driving while impaired, driving under the influence and what are the differences between North and South Carolina and just even the naming of the thing? Chris Beddow: Well I think obviously one the biggest differences is what they, North Carolina and South Carolina, respectively call it. The actual elements of the crime depending on the state are very, very similar. Both states have a BAC or Blood Alcohol Content legal limit. That is for everywhere. South Carolina and North Carolina are exactly the same in that there is said to be a “limit” of 0.08 percent, but there are some important differences. So, one of the difference is the name. It’s driving under the influence, as opposed to the DWI as it’s called here in North Carolina and other states also. Another big difference that they, South Carolina, have is not necessarily just the naming of it but the general steps that you have to go through the court process and the different name for the court and the different ways that each state handles it. Also, South Carolina has some different options regarding what is traditionally considered, nationwide, “Impaired Driving,” that are not available in North Carolina. Bill Powers: I think that’s an important distinction because we’ll regularly have clients call and just assume that what was the law in say Texas or Virginia is going to be the law here. While there are some general facets of all drunk driving cases that may apply nationwide, in many ways it’s up to the individual state. Is that right in South Carolina? Chris Beddow: That is right. I mean generally you have to be driving a motor vehicle. Each state can say what an actual motor vehicle is. That can change. There are some oddities. In some states you can be on a bicycle and still be found guilty or a golf cart or even a horse. Generally you have to be driving a motor vehicle on a public street or high way within the state with a blood alcohol concentration with of .08 or higher at a relevant time after driving. What is considered a “relevant time,” may be defined differently. Bill Powers: That brings a good point that there’s, for a lack of better term a running joke in North Carolina that there were three things traditionally that you could not get a driving while impaired conviction on and it was horses, lawnmowers, and bicycles. It’s a developing area of law. The one thing that you can still apparently, for lack of better term “drive” around on impaired, is a horse. I kind of feel sorry for the horse. You’re in you front yard and you’ve had a six pack of beer and you’re mowing your lawn, your own front lawn, it’s not as easy as this but if you’re in maybe a right of way or in the road way you might get arrested. That doesn’t mean you would get convicted but we for some reason always talk about horses, lawn mowers, and bicycles. What is defined as a vehicle in North Carolina has become more and more expansive as has what a roadway is or a public vehicular area. It doesn’t always boil down to what might be “common sense” to people. Now, in North Carolina Chris we for years referred to it as a DUI. 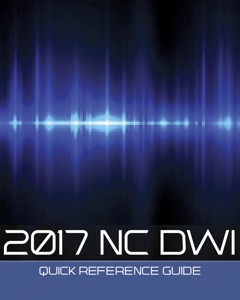 In fact a lot of people still refer to it as that but in North Carolina while DUI is still technically applicable, driving under the influence of drugs or alcohol, we changed the law to call it be driving while impaired, DWI, (See NCGS 20-138.1) to encompass alcohol as well as drugs and impairing substances whether they are illegal or otherwise. 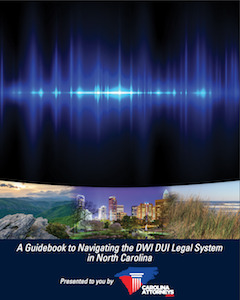 In North Carolina we call it “Impaired Driving,” and as such, DWI refers to “Driving While Impaired,”. I have to assume in South Carolina that you can be impaired by things other than just alcohol. Chris Beddow: It’s the same concept with a different name. That’s all it is. Pretty much the same. South Carolina does also have a secondary DWI charge with is driving with an unlawful alcohol concentration which is a lesser charge than the DUI. That also reverts to, it covers people who are not of the legal drinking age and have some stipulations based on what the actual concentration of alcohol in the body is. Bill Powers: I think an important distinction in you being licensed in both North and South Carolina you know the importance of this, some people in North Carolina or even South Carolina will just plead out a driving while impaired to the DUA… What is it called down there? Bill Powers: Okay, thinking that it won’t effect them as harshly in North Carolina and that’s not necessarily the case. North Carolina and South Carolina are supposed to reciprocate information. You’ve handled DMV hearings in both states. Sometimes that gets reported back. Sometimes it doesn’t. Chris Beddow: There’s is a lesser punishment depending on where your license is actually from. Bill Powers: Right. When we talk about these national things we’re talking a lot of the laws, or not laws but the procedures and protocols that were established by an organization called the National Highway Traffic Safety Administration. We often refer to it by the abbreviation NTSA. That’s where you hear about the standardized field sobriety test protocols, the horizontal gaze nystagmus, the one leg stand, and the walk and turn. You use those in South Carolina? Chris Beddow: They use the exact same tests in the exact same way. The protocols and standards are the same on both states. Bill Powers: Okay. Some of the things, we’re coming up in the spring right now and the weather is getting a little bit better. People tend to go out and maybe consume a little bit more in public places and things like that. We tend to see a trickling up of the number of DWI arrests in North Carolina. Is that true in South Carolina? Chris Beddow: Exactly the same. You have all the beautiful beaches there. People are on spring break and taking summer trips and they tend to maybe let loose a little bit more than they would when the weather is bad. Bill Powers: Right. Well what I like to tell people is, in North Carolina, DUI cases are serious. They are criminal cases and they can have long term consequences. They can affect your driving license. They can affect your insurance. They can affect your ability to get a job or keep or job or, like I said they have long term consequences. I think that’s true nationwide. I encourage people before they do anything. The question I have for you, if someone in South Carolina is off in the DUAC, should they automatically just take it and pay it off or does it help to talk to a lawyer and what? Chris Beddow: It always helps because regardless of what the charge is there may be issues that we can look at and find in the case to where we can win it at a trial. Everyone has a right to that trial and the state has the burden of proof in every state. Proof beyond a reasonable doubt and if the state can’t meet that burden regardless of what the charge is, it would definitely help to have somebody look at it. Help walk them through it to help handle any licensing problems that may come along with it because regardless of what the charge is, DUI or DUAC, the DMV will take some sort of action against your drivers license. It would help to have somebody to walk you through that and to help you continue driving even if it is on a limited basis. Bill Powers: Right. We offer free consultation as a firm. It doesn’t matter if you’re charged in North Carolina or South Carolina. You’re not going to charge anybody to talk to them right? Chris Beddow: Absolutely not. It’s totally free to talk and I’ll tell them everything that I possibly can about what they’re charge is. Bill Powers: and maybe Clover and things like that. You’re available to kind of go back and forth across the border. You’ve got licenses in both states. Right? Chris Beddow: I’d be happy to travel back and forth. Like we said these cases can be complicated but the issue is the interplay between the criminal court system and the DMV but it’s not something you should be scared of because we’re here to help you and help walk you through it. Bill Powers: Thank you so much Chris. I appreciate your time and I hope we can hear from some of these people. We get these questions and as we get the questions we’ll add those to our blog posts and answer what I call general questions in general manners. If you have a specific question we encourage you to consult formally with an attorney. Thanks Chris.